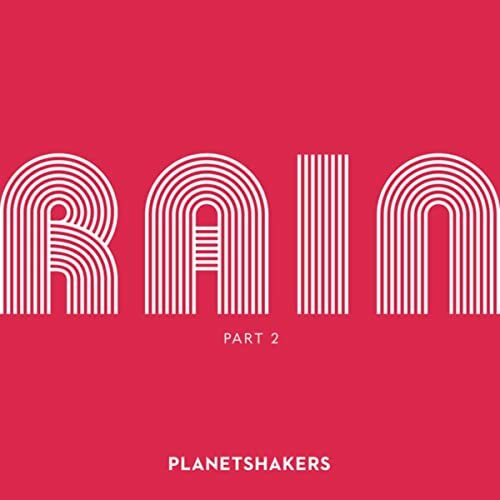 Another year, another Planetshakers release! Yep, you did hear that right, and no, your ears were not deceiving you. After last year’s series of EP’s (Heaven And Earth 1, 2, and 3), culminating in the full length album titled…yep, you guessed it: Heaven And Earth; the Aussie worship movement has decided…that it’s time for yet another new EP. A few months ago Rain Pt 1 (Live) – EP dropped to all stores, and now we are met with five more songs clocking in at around nearly 40 minutes; in Rain Pt 2 (Live) – EP. Now I love the Aussie band, and they’ve had some good hits in the past. Plenty of songs from the early and mid 2000’s are tracks that I’d gladly listen to again and again, and still be blessed and inspired by them. So while you can read all of our reviews of Planetshakers’ albums here; at this point one might be thinking and maybe saying aloud ‘enough is enough, time to bunker down, write ‘good’ music, and take 2-3 years to record an album’. I know, it’s a harsh statement, but I’m thinking that too. At this point, one may say that Planetshakers may not be relevant anymore, given the sheer volume of albums they release every year. For me I am certainly getting to that stage where I’m thinking ‘another Planetshakers album- really?’. Even though there’s always a couple of songs that pique my interest and really grab my attention in a good way; it’s still perplexing that the band doesn’t just wait and release Rain as a full length album this year. Though these five songs in their own right are inspiring; I have found that repeated listens show that these songs aren’t as engaging as their counterparts from a few months ago- and I reckon that if Part 3 of Rain releases soon, I may not even review that project. Is this statement controversial. Probably the only song on this project with emotional impact is the EP opener “Only Way”. I reckon the song is the most personal and emotional song that Planetshakers have ever recorded. An explosive guitar led pop/rock anthem, which released last month and was inspired by the tumultuous ordeal of lead singer Joth Hunt’s surgery to remove a cancerous tumor early last year; “Only Way” was born with Joth in the midst of a desperate situation, and just like Joth has been give comfort by his own song; so too does he want others in Australia and in the entire world to be impacted by God moving in his own life. Originally when I heard this song without hearing the story behind the track- or even reading the press release, I had my doubts, considering what happened all those years ago with Mike Guglielmucci. But after I did my research and now that I know what Joth experienced last year, “Only Way” takes on greater significance and meaning- and is one of my favourite songs of the year thus far. There’s nothing much more that needs to be said about this song- but I suggest you watch the documentaries on Youtube chronicling Joth’s emotional journey through the removal of cancer process. “Only Way” carries more weight after viewing the videos- and after listening to this song prior to the EP release, I had high hopes for the rest of the EP, that it would live up to the hype and praise of “Only Way”! Oh how wrong I was. “I Choose You” is next and immediately pales in comparison. A dance/pop number, there’s repetition, EDM music and clichés abound, making for a very distracting anthem that means well, but is executed quite poorly. Both “Anything Can Happen” and “Take Your Place” are equally as engaging and compelling as each other (which is good, as their both standouts! ), and Sam Evans leads these tracks quite nicely; however these songs are so similar musically (and lyrically) to each other, which is a drawback, as well as these songs way, way, way absurdly long duration at nearly 10 minutes each. The EP ends with a middling, solid slow ballad “God Is On The Throne”, which imparts to us that Jesus is on the throne and that alone is cause for praising Him- yet other than that sentiment, nothing much more about the track stands out, which is a shame. Rain Pt 2 is miles below Rain Pt 1, which was overall a solid and competent EP still needing improvement and work. In this instalment of Rain, “Only Way” was fantastic, but the others leave much to be desired. These tracks are somewhat inspiring and hopeful and can be cried out and sung to Jesus during times of joy and hardship; but now I have confirmation that Planetshakers are still not as impacting or rousing or influential as artists like Passion, Jesus Culture, and Hillsong. Would I listen to this EP again? No, not in a long time. But maybe you’re one of the listeners who actually love the EP- and that’s cool more power to you. Whatever the case though, here’s hoping and praying that Planetshakers have many more new albums to come that will revolutionise the worship industry in the future! That’s a good prayer to pray, don’t you reckon?